(Vatican Radio) Pope Francis has appealed to the international community to take action against the continuing persecution of Christians and religious minorities. In a letter addressed to the Auxiliary Bishop of Jerusalem and Patriarchal Vicar in Jordan, Maroun Lahham, Pope Francis has expressed his solidarity with the hundreds of thousands of Iraqi refugees in Jordan who have fled persecution describing them as the martyrs of today. Upon the invitation of Archbishop Lahham and of the Latin Patriarch of Jerusalem, Archbishop Fouwad Toual, the Secretary General of the Italian Episcopal Conference, Archbishop Nunzio Galantino is currently visiting Jordan to mark the 1st anniversary of the arrival of Iraqi refugees in the nation. During his visit, Archbishop Galantino will participate in a number of meetings and events and will visit some refugee camps. Dear brother, I take advantage of the visit to Jordan of His Excellency Archbishop Nunzio Galantino, Secretary General of the Italian Bishops’ Conference, to reach with a word of hope so many people who oppressed by violence, have been forced to abandon their homes and their land. Time and time again I have wished to give voice to the atrocious, inhuman and inexplicable persecutions of those, who in many parts of the world – and especially amongst Christians – are victims of fanaticism and intolerance, often under the eyes and in the silence of all. They are the martyrs of today, humiliated and discriminated against for their faith in the Gospel. My words, which appeal for solidarity, are the sign of a Church that does not forget and that does not abandon her children who have been exiled on account of their faith: they must know that a daily prayer is raised for them, and that we are grateful for the witness they offer. My thoughts also go to the Communities that have not looked away and are taking care of these brothers of ours. You proclaim the resurrection of Christ by sharing the pain and by giving help to hundreds of thousands of refugees. Bowing before the misery that risks stifling their hope, your fraternal service illuminates the dark moments of their existence. May the Lord reward you as only He can, with an abundance of gifts. And may world opinion be more attentive, sensitive and sympathetic before the persecutions carried out against Christians, and in general, against religious minorities. I renew my hope that the international community will not assist in silence without taking action in the face of this unacceptable crime, a crime that constitutes an alarming drift from the most basic of human rights which prevents a rich cohabitation between peoples, cultures and faiths. Please, I ask you to pray for me. May the Lord bless you and Our Lady protect you. With the election of Jorge Mario Cardinal Bergoglio as Pope Francis in 2013, there have been 266 popes in the history of the Catholic Church. The pope is the spiritual leader of Catholicism and the visible head of the Catholic Church. He is the successor to Saint Peter, the first among the apostles and the first pope of Rome. Taken together, the following articles provide a comprehensive list of all the popes of the Catholic Church, divided up by historical era, as well as the years that they reigned. Biographies of the popes will be linked off of each article; check back often to see which biographies have been added. 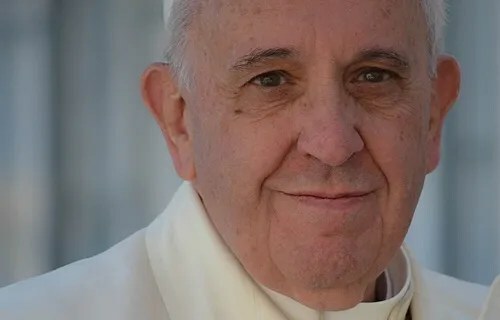 Asunción, Paraguay, Jul 12, 2015 / 08:53 am (CNA/EWTN News).- On his final day in South America Pope Francis visited the poorest neighborhood in Paraguay’s capitol, encouraging residents to practice solidarity, because without it one’s faith is either hypocritical or dead. “Jesus didn’t have any problem with lowering, humbling himself unto death for each one of us out of this solidarity among brothers, this love that his Father had for each one of us,” the Pope said in off-the-cuff remarks July 12. On the final day of his July 5-13 tour of South America Pope Francis stopped to visit the Bañado Norte neighborhood in Paraguay’s capital Asunciòn, where roughly 100,000 of the poorest of the poor live. Before coming to Paraguay, the Pope visited the nations of Ecuador and Bolivia. Before giving his speech, the Pope heard testimonies from two residents, who spoke out against the abuse of human rights, the low economy and poor living conditions in the neighborhood. María García, another resident and coordinator of the “Organizations of the Bañados,” lamented how high land and housing prices, low incomes and destruction of indigenous habitats cause the forced displacement of many people and the shantytowns to grow. She demanded a “genuine recognition” of being an inseparable part of humanity as a whole, and called for regularized land tenure at affordable costs, that they have the means to improve the land that they already have, and for the possibility of health care and a dignified education. In his speech, Pope Francis told the residents of Bañado Norte to think about how Mary and Joseph were also left with nothing when they were forced to leave their homes, family and friends in order to a place where they had nothing and knew no one. “That was when that young couple had Jesus. That was how they gave us Jesus. They were alone, in a strange land, just the three of them,” he said. However, soon shepherds began to arrive, people just like them who had to leave their homes to find better opportunities for their families, the Pope observed, noting that their lives were also affected by both harsh weather many other hardships. This is what happens when Jesus enters into our lives, Francis continued, explaining that faith brings us closer and makes us neighbors to each other. It also awakens a commitment of solidarity, he said. Pope Francis told residents that he, like the shepherds, wants to be their neighbor and to bless their faith and communities. He said that the faith which Jesus awakens in us is what allows us to dream about the future, and to work for it even in the present moment. Francis concluded his speech by commending each of the residents and their families to the care of the Holy Family, praying that the witness of Jesus, Mary and Joseph would be light for their path and an encouragement in times of difficulty. “May the Holy Family always help us to be shepherds who can accompany, support and encourage our families,” he said, and asked the residents to keep him in their prayers. Starts at 10.40 am – Pope Francis presides over the Holy Mass at Koševo Stadium of Sarajevo. Credit: Kema Keur via Flickr (CC BY-SA 2.0). Rome, Italy, Apr 24, 2015 / 04:23 pm (CNA/EWTN News).- On the day marking 100 years since the systematic killing of over a million Armenians at the hands of Ottoman authorities, a Catholic historian insists that peaceful coexistence is possible today in Turkey. “It is very important today to celebrate the centenary of the Armenian genocide because history has shown without doubt that this genocide happened,” Marco Impagliazzo told CNA April 23. However, from the memory of this dark point in history “we can start to build a new future in Turkey between Turkish and other Christian minorities. This genocide doesn’t divide us, but is a new step,” he said. The Ottoman Empire was a strong example of “cohabitation, coexistence between people, religions and ethnicities,” before the rise in Turkish nationalism produced the racist attitudes which led to the slaughter of the Armenians in 1915, he said. However, this “cohabitation” is not something of the past, but can still be an example of peaceful coexistence today. Impagliazzo is a full time professor of Contemporary History at the University for Foreigners of Perugia and president of the Community of Sant’Egidio. He is also a consultor for the Pontifical Council for Culture and the Pontifical Council for the Pastoral Care of Migrants and Itinerant Peoples. Organized by the Sant’Egidio Community, the event also celebrated the publication of Impagliazzo’s book, as well as a volume written by Riccardi entitled “The Massacre of Christians,” which was published simultaneously with that of Impagliazzo. Both of the books provide a historical account of what is commonly known as the Armenian genocide, the centenary of which is celebrated today. Also referred to as the Armenian Holocaust, the genocide took place in 1915 when the Ottoman Empire systematically exterminated its historic minority Armenian population who called Turkey their homeland, most of whom were Christians. Roughly 1.5 million Armenians lost their lives. Today Germany added also added itself to that list during an April 24 parliamentary session, making itself the 23rd country to recognize the massacre as a genocide. Speaker Norbert Lammert told parliament that “we Germans cannot lecture anyone about dealing with their past, but we can through our own experiences encourage others to confront their history, even when it hurts,” the Associated Press reports. 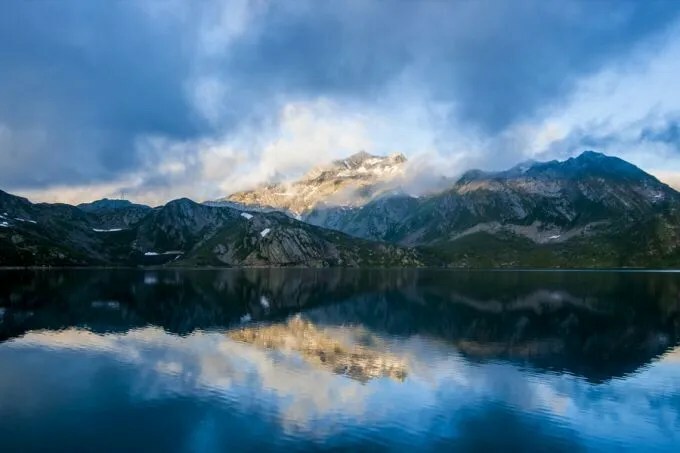 Yesterday German President Joachim Gauck also referred to the slaughter as a genocide, which signaled a shift in his country’s stance on the subject, as previous officials have avoided using the term. In their speeches for the commemorative event, both Impagliazzo and Riccardi stressed that the use of the term genocide in the case of the Armenian massacre is not a word of hatred, but one of truth. “As St. Paul said, the truth will set you free. So now we have this freedom of knowledge of our past, to be more free to build a new future together,” Impagliazzo said in his comments to CNA. The professor recalled Pope Francis’ own use of the term “genocide” during his April 12 liturgy for Divine Mercy Sunday, which he offered for faithful of the Armenian rite in commemoration of the 100 year anniversary of the tragic event. The professor expressed his belief that there is already a movement of reconciliation going on within Turkey, which he said was largely inspired by Armenian-Turkish journalist Hrant Dink, who was murdered in 2007 and was a prominent member of the Armenian community. Dink was the editor-in-chief of the bilingual Turkish-Armenian newspaper Agos, and had been outspoken in advocating for reconciliation for Turkey and Armenia, as well as for human and minority rights in Turkey. Often critical of both the Turkish denial of the genocide as well as the Armenian push for its international recognition, Dink was killed in Istanbul in 2007 by a 17-year-old Turkish nationalist named Ogin Samast. 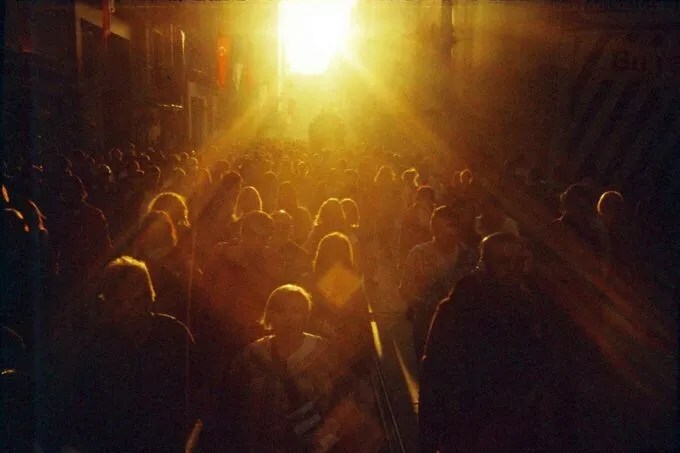 At his funeral, large numbers of both Turkish and Armenian citizens marched together “to demonstrate to the Turkish people that we don’t have to fear memory,” Impagliazzo said. Even if an official recognition of the genocide could help in the process of reconciliation, “I don’t think it’s a legal step that will solve this situation, but a new mutual understanding between people, based on the truth of the history,” he said. In his general audience April 22, Pope Francis challenged Christians to protect the sacrament of marriage. 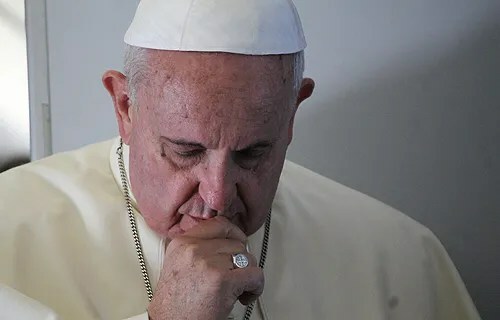 Vatican City, Apr 19, 2015 / 08:48 am (CNA/EWTN News).- Pope Francis led a moment of prayerful silence on Sunday for the hundreds of migrants killed off the coast of Lampedusa, saying they were like us in their search for happiness. The Pope was speaking during his weekly Regina Caeli address to the crowds in Saint Peter’s Square, some twelve hours following the accident. Hundreds of people are feared dead after the boat carrying as many as 700 migrants capsized in the Mediterranean Sea, according to the Italian coastguard. The BBC reports that the ship went down at around midnight local time south of the Italian island of Lampedusa, a major entry point for migrants from northern Africa. “I express my deepest sorrow in the face of such a tragedy, and assure my remembrance in prayer for the lost and their families,” Pope Francis said in his Apr. 19 address. He invited those in the crowd to take a moment of prayerful silence for those killed in last night’s boat accident before leading the crowds in praying the Hail Mary. The pontiff then made a “heartfelt appeal” to the international community to act “decisively and promptly”, in order to prevent similar tragedies from being repeated. Thousands have made their way to Lampedusa from Africa over the years, with scores of migrants dying en route, often due to factors such as overcrowding on the boats. Today’s tragedy comes less than two years after a boat carrying 500 migrants sank off coast of Lampedusa, killing at least 300. Pope Francis had visited the island a few months earlier, in July 2013, praying for the migrants, both living and those who perished en route. The BBC reports that some 900 migrants are believed to have died since the beginning of 2015 trying to cross the Mediterranean Sea. In the first reading, Pope Francis cited the words of St. Peter: “But you denied the Holy and Righteous One, and asked for a murderer to be granted to you, and killed the Author of life, whom God raised from the dead. To this we are witnesses.” (Acts 3:14-15). Turning to the Gospel, the Pope reflected on Jesus telling the disciples that they were “witnesses” of His death and resurrection. The identity and mission of the witness, Pope Francis said, is summarized into three words: to see, to remember, and to recount. 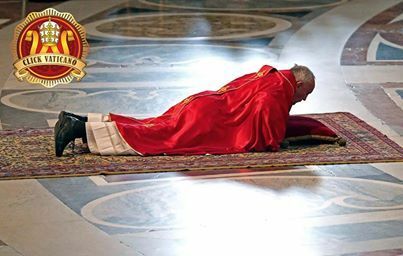 “The content of the Christian witness is not a theory, not an ideology, or a complex system of precepts and prohibitions or a moralism,” the pontiff said. via Pope: Doomed migrants were looking for happiness :: Catholic News Agency (CNA). Rome, Italy, Apr 12, 2015 / 08:24 am (CNA/EWTN News).- Pope Francis today referred to the mass killing of Armenians by the Ottoman Turks in 1915 as a “genocide,” prompting the Turkish government to summon the Vatican’s ambassador for questioning. His comments took place before celebrating Mass on Divine Mercy Sunday, which is a feast instituted by St. John Paul II and is celebrated on the Second Sunday of the Church’s liturgical Easter season. Francis offered the Mass for faithful of the Armenian rite in commemoration of the centenary of the “Metz Yeghern,” or Armenian “martyrdom.” April 24 is recognized in Armenia as the official date honoring the start of the event. During the Mass Francis also proclaimed Armenian-rite Saint Gregory of Narek a Doctor of the Church, making the 10th century priest, monk, mystic, and poet the first Armenian to receive the title. Widely referred to as a genocide, the mass killings took place in 1915-1916 when the Ottoman Empire systematically exterminated its historic minority Armenian population who called Turkey their homeland, most of whom were Christians. Roughly 1.5 million Armenians lost their lives. When CNA phoned the Turkish embassy to the Holy See they declined to comment, however the apostolic nunciature in Ankara responded by saying that the nuncio had in fact been called. However, most non-Turkish scholars refer to the episode as a genocide. Argentina, Belgium, Canada, France, Italy, Russia and Uruguay are among the states that formally recognize the massacre as such. It’s both necessary and a duty to honor the centenary of the “immense and senseless slaughter” the Armenians had to endure, Pope Francis said, because when memories fade evil can enter and make old wounds fester. In a message given to the Armenian community after the celebration, Pope Francis said that to remember the event is not only the responsibility of Americans, but of the whole world, the Pope said, so that it can serve as a warning not to repeat similar “horrors” in the future. Rome, Italy, Apr 3, 2015 / 03:45 pm (CNA/EWTN News).- Both Pope Francis’ Good Friday service at the Vatican and the Stations of the Cross held at the Colosseum later in the day zeroed-in on the plight of persecuted Christians around the world. “In you, Divine Love, we see again today our persecuted brethren: beheaded, crucified, for their faith in you, beneath our eyes, or often with our complicit silence,” he said in a brief reflection April 3 following the Way of the Cross. The Pope’s remarks come one day after the massacre of 147 students – mostly Christian, separated from their Muslim colleagues at the start of the attack – at Kenya’s Garissa University College at the hands of Somalian Al Shebaab gunmen. According to the letter which was signed by Vatican Secretary of State Cardinal Pietro Parolin, the Holy Father called on authorities to increase their efforts in bringing an end to violence, promoting justice and peace. Earlier in the day, during celebrations for the Passion of Our Lord in Saint Peter’s Basilica, papal preacher Father Raniero Cantalamessa also touched on the Kenya massacre, and other recent examples of Christian persecution. Pope Francis has spoken out repeatedly on Christian martyrs of today. He has stressed that there are more persecuted Christians throughout the world now than there were in the early centuries of Christianity. At the conclusion of the Way of the Cross – or Via Crucis – Pope Francis reflected on the suffering which Christ endured during His Passion. “In the cruelty of your Passion, we see the cruelty in our heart, and of our actions,” he said. via For Pope Francis, Good Friday shrouded in grief over persecuted Christians :: Catholic News Agency (CNA). Caring, protecting, demands goodness, it calls for a certain tenderness. In the Gospels, Saint Joseph appears as a strong and courageous man, a working man, yet in his heart we see great tenderness, which is not the virtue of the weak but rather a sign of strength of spirit and a capacity for concern, for compassion, for genuine openness to others, for love. We must not be afraid of goodness, of tenderness! 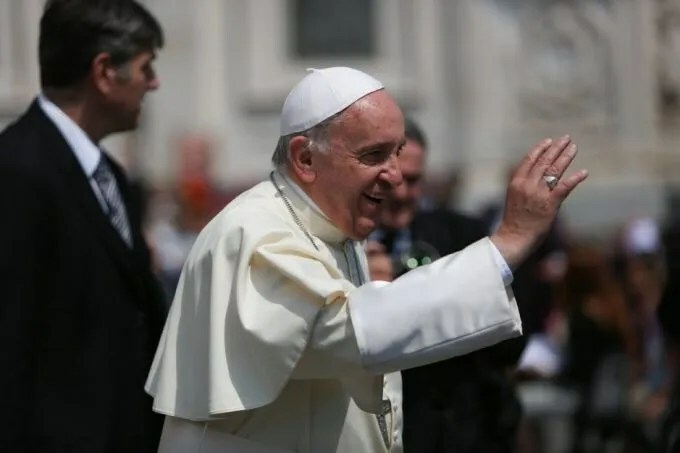 Vatican City, Mar 5, 2015 / 01:00 pm (CNA/EWTN News).- Pope Francis said Thursday that when it comes to caring for the elderly, palliative care is necessary because it counters a mentality of utility that often leaves elderly persons marginalized and alone. “Abandonment is the most serious ‘illness’ of the elderly, and also the greatest injustice they can suffer: those who helped us to grow must not be abandoned when they need our help, our love and our tenderness,” the Pope said March 5. What palliative care offers as a unique and essential element in the medical field is the recognition of “the value of the person,” Francis said. He noted that many elderly are either “left to die or made to die” due to their physical or social condition, and stressed that all types of medicine have the societal responsibility to bear witness to the honor due not only to elderly persons, but to each and every human being. The Pope also emphasized that the criteria governing the actions of doctors must not be limited to medical evidence and efficiency, nor to the rules of heath care systems and economic profit. Palliative care then, bears witness to the fact that the human person always has value, even when suffering from age and illness, the Pope continued. 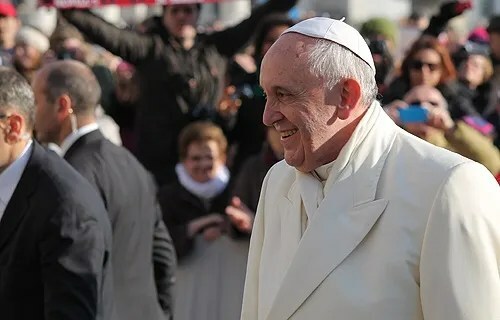 Francis then praised the efforts made on the part of those who work in the field of palliative care, and encouraged both professionals and students to specialize in the topic. Although this type of care is not geared toward saving lives, it centers on the equally important recognition of the value of the human person, he said, and encouraged those working in the field to carry out their tasks with an attitude of service. However, while palliative care is necessary, it does not remove the need for the family in caring for the elderly, Francis added. “The elderly, first of all, need the care of family members – whose affection cannot be replaced by the most efficient structures or the most competent and charitable healthcare workers,” he said. When family members are not able to offer the needed care, or if the illness of their elderly loved one is advanced or terminal, then the “truly human” assistance offered by palliative care is a good option so long as it “supplements and supports” the care already provided by family members, he said. via Abandonment is the greatest suffering of the elderly, Pope says :: Catholic News Agency (CNA).